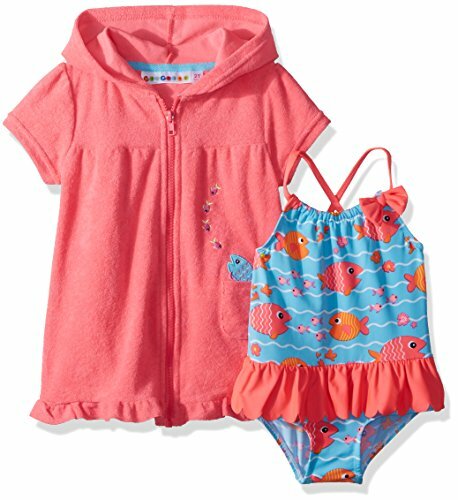 Cover-up set with all over printed happy fish and waves on swimsuit body. Back strap with bow and pink ruffles by waist. Cover-up with full front zipper closure and hood. Pocket on body with cute fish peeking out. If you have any questions about this product by Wippette, contact us by completing and submitting the form below. If you are looking for a specif part number, please include it with your message.